If you’re looking for a reason to get excited about, or for that matter even care, about Fast and the Furious 5 then try this: Tyrese Gibson. If you saw 2 Fast 2 Furious then you know he was the only thing worth watching in that lackluster sequel. He carried the movie as Roman Pierce and now he’s back. 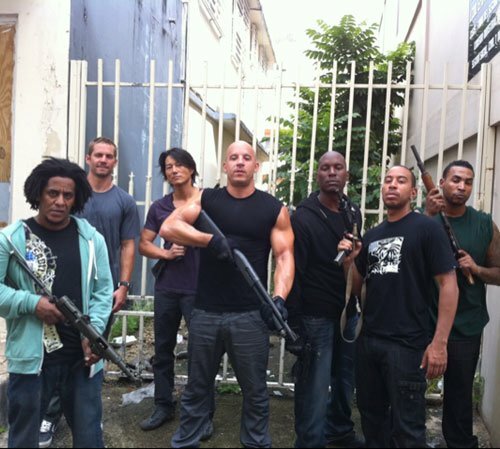 In Fast and Furious 5 Tyrese returns to team up with Paul Walker, Vin Diesel, and Ludacris. 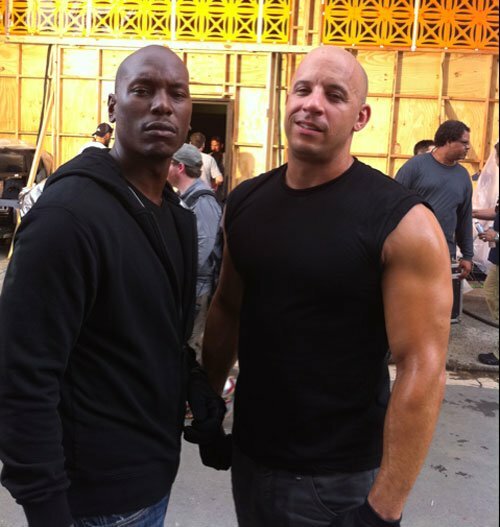 And since he’s Tyrese, and one of the web’s serious twitter addicts, he’s already started tweeting photos from the set. 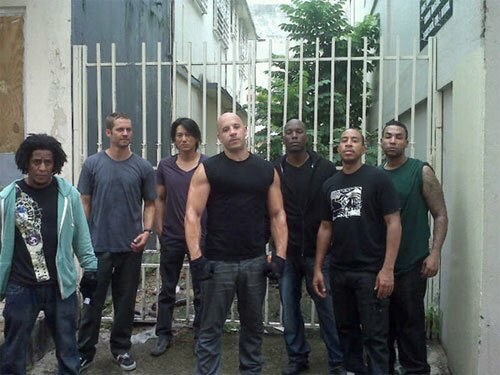 So here they are, thanks to Tyrese, your first looks at the cast of Fast and the Furious 5.